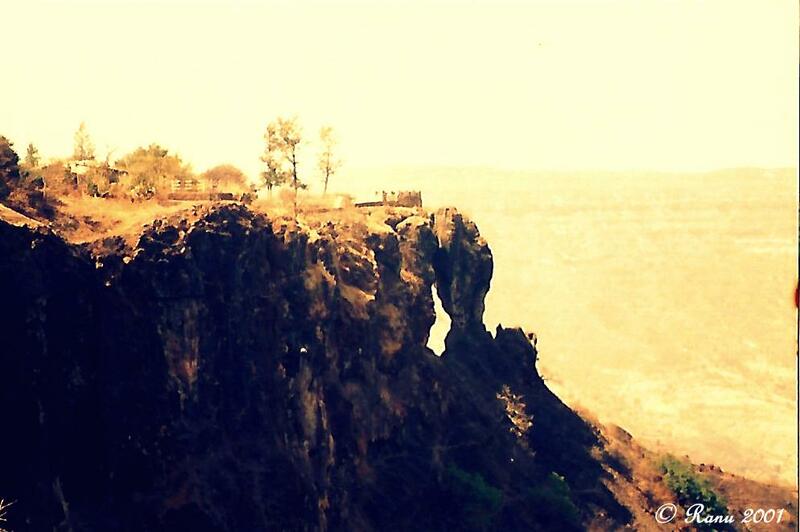 Needle-hole point/ Elephant point, Mahabaleshwar. Mahabaleshwar is a popular hill-station in Maharashtra. Due to its proximity to the metro cities of Mumbai and Pune, it is a popular weekend getaway. This is the pic of one of the points in Mahabaleshwar. One can see a natural rock formation with a hole in between, thus giving the name Needle-hole. The point is also famous for the view of Deccan traps, which looks like an elephant’s trunk. This natural formation makes it a must visit to for all tourists. I took this pic decades back on one of my trips to Mahabaleshwar. The beauty of the natural formation is exquisite. The rock formation which looks like a needle and that of a standing elephant makes it a natural phenomenon and something beautiful to look for. Neat image! Isn’t it interesting how nature sculpts such huge structures? What a cool shot! It does look like a wonderful tourist destination.